Ever wondered where Rob Sitch and Michael Leunig started out? Actor Kevin Harrington and musicians Mark Ferrie, Wendy Stapleton and Pat Wilson? You might be surprised to learn they all grew up in Melbourne’s industrialised, working class western suburbs. Ted Whitten Junior comes as no surprise but radio and TV journalists Josephine Cafagna, Lina Caneva and Tony Leonard are also ‘Westies’. 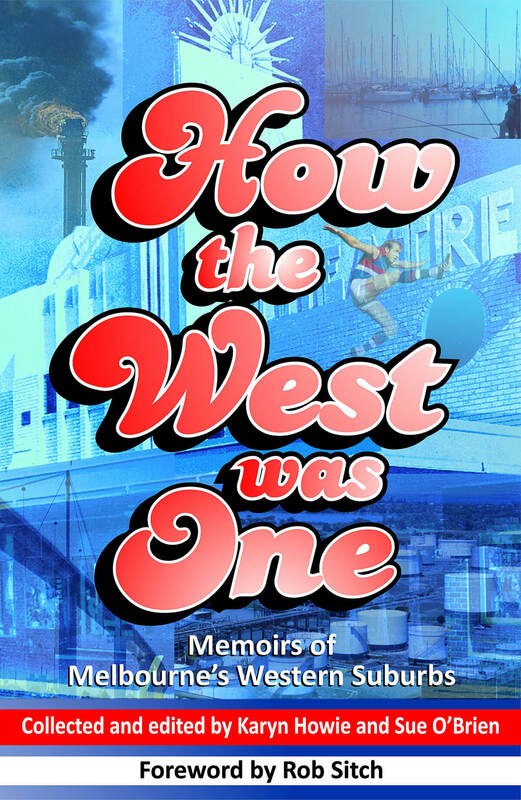 How the West was One is a beautiful collection of post World War II memoirs from these writers and many more. In the 1950s, ’60s and ’70s, Melbourne’s gritty western suburbs were the playgrounds for a bunch of kids who were like cats. They were thrown out the back door in the morning and came home just before dinner. From harassing the swaggies on the banks of Yarraville’s Stony Creek, to pulling beers in a Newport pub and making mischief at Altona’s Magazine Pier, this book celebrates the richness of working class childhoods.